Wellness center "Hermis" offers its visitors a wide range of services. 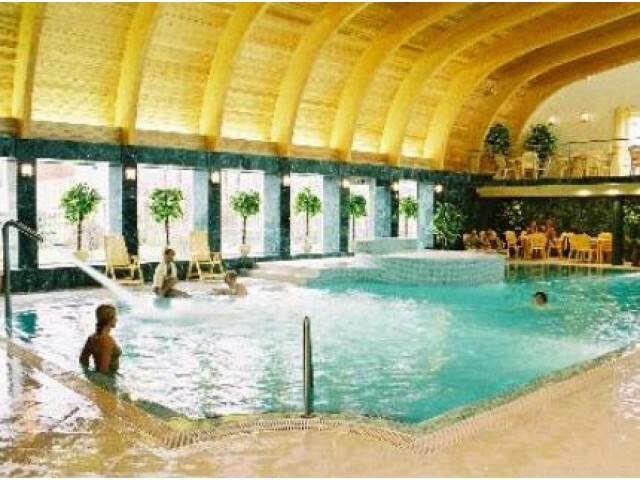 Here you can find: an aerobic and fitness rooms, an excellent 15-meter swimming pool with Jacuzzi and waterfall and sauna complex: steam bath, sauna and infrared sauna with color therapy. Gym equipped with modern Italian company Techno Gym cardio and mechanical fitness. Right here waiting for you - spa bar, where you can relax after an intensive workout and taste various cocktails and snacks.